Delphi is famous throughout the world as the ancient Pan-Hellenic sanctuary that was considered to be the navel (centre) of the world, with the sacred sanctuary of Apollo having the Oracle which was consulted on important decisions throughout the ancient classical world. Between the 6th and 4th Centuries BC, the Delphic Oracle, which was regarded as the most trustworthy, was at its peak. It was delivered by the Pythia, high priestess, and interpreted by the priests of Apollo. Cities and individuals alike consulted the Oracle, expressing their gratitude with gifts and spreading its fame around the known world. Delphi is located on an impressive site on the slopes of Mount Parnassus which overlooks the coastal plain and the valley of Phocis in central Greece. 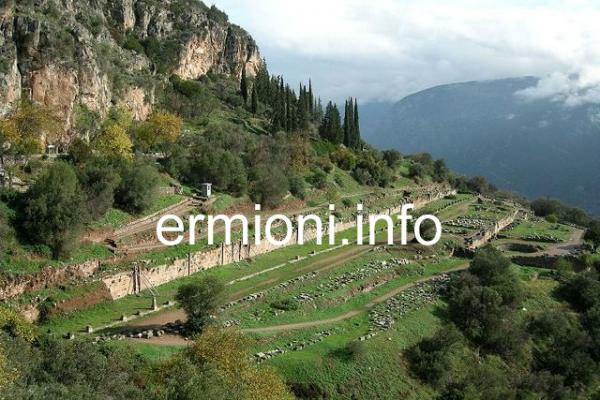 Following the discovery of ancient Delphi in 1893, it has become an extensive archaeological site. The modern town of Delphi is only 800m West of the archaeological site and museum and is a popular all-year round tourist destination. 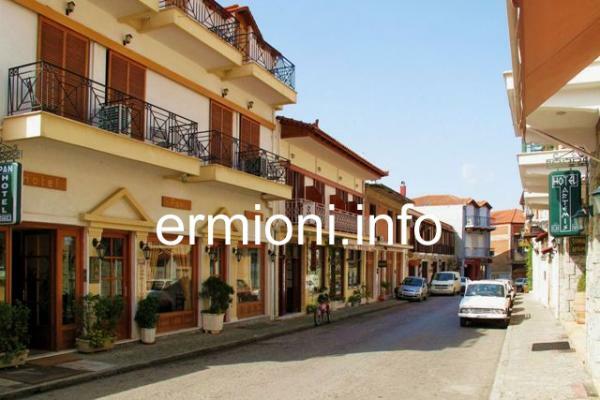 There are many hotels and guest houses within the town, as well as restaurants, tavernas, cafes and bars. The main streets are narrow with a one-way system and have many jewellery, souvenir and gift shops, in addition to small mini-markets. 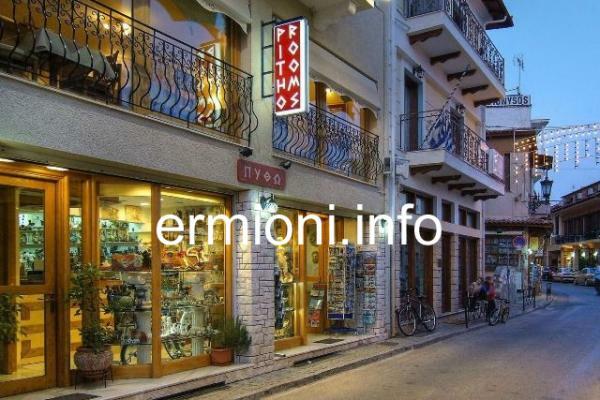 The town also attracts many tourists visiting the Parnassus Ski Centre and the popular coastal towns of Phocis. During the Ottoman period a village called Kastri was built on the site of the ancient sanctuary, using marble and stone from the sacred site, which was normal for rebuilding towns that had been destroyed, especially after the earthquake of 1580 which demolished a number of towns in Phocis. French archaeologists finally located the site of ancient Delphi in 1893 and the village was moved to its present location. The archaeological site of Delphi is one of the top 3 destinations of visitors to Greece. It takes you through various ancient treasuries, temples and theatre and leads to the 6,500 spectator stadium at the top of the site, which from 586 BC was used every 4 years for the Pan-Hellenic Pythian Games. Delphi was second only to Olympia in importance, alongside Isthmia and Nemea, and held the Mousikos Agon music competition in the theatre for 4,500 spectators. One of the many Treasuries along the sacred way at Delphi is the reconstructed Treasury of the Athenians. It was dedicated to the sanctuary of Delphi immediately after the establishment of democracy in Athens around 508 BC. Other older Treasuries were built at Delphi by the Sikyonians, 560 BC, and Siphnians, 525 BC, to honour the god Apollo as well as to display their power and piety. About 400m below the Sanctuary of Apollo lies the Gymnasium, which was used by the young men of Delphi as well as competitors for the Pythian Games. The building was on 2 levels, a stoa on the upper level providing open space with a palaestra, pool and baths on the lower level. These pools and baths were said to hold magical powers, with the ability to communicate with Apollo himself. A further 300m below the gymnasium lies the Tholos at the sanctuary of Athena Pronoia, a circular building that was constructed around 380 BC. Three of the Doric columns have been restored, making it the most popular photographed site at Delphi by tourists from all over the world. The Tholos is one of the masterpieces of ancient Greek architecture, but its function has remained unknown to this day. The sanctuary also includes two temples of Athena Pronaia and various sized Treasuries. The sancturies at Delphi were sacked by the Romans during the Mythridatic Wars and later by the emperor Nero in 66 AD. Although later Roman emperors contributed to the resoration of the site, it gradually lost importance until it was finally closed by the Christian emperor Theodosius in 381 AD. Constantine the Great looted several monument, most notably the Tripod of Plataea, which he used to decorate his new capital in Byzantium, later renamed Constantinople. Despite the rise of Christianity across the vast Roman Empire, the Oracle was still active until the mid-4th Century, and the famous Pythian Games continued until 424 AD. The Archaeological Museum of Delphi is located in a new 2-storey building, with 14 exhibition halls, situated between the archaeological site of Apollo and the modern town. The museum holds thousands of artifacts discovered within the archaeological site, with the most famous being the bronze Charioteer of Delphi, which is displayed in its very own hall. The museum also offers a cafeteria, gift shop and toilets. Open all year apart from national holidays. April to Oct. 08:00 - 20:00 - Nov. to April 08:00 - 15:00 Tel: +30 22650 82312 Admission to the museum and archaeological sites: 12 Euros. 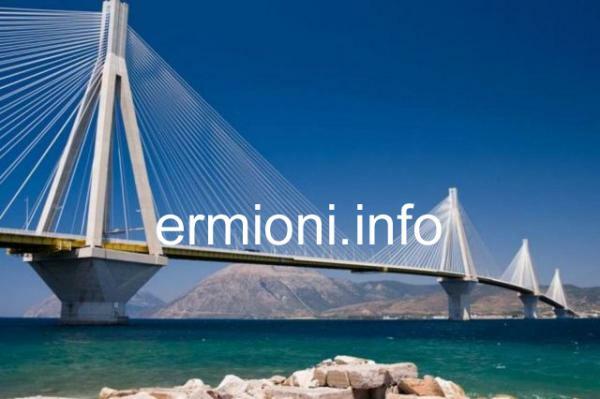 Rio-Antirrio Bridge - If travelling from Ermioni to Delphi, you can select two road journeys to get there. One journey can be made across the Corinth Canal, along the A8/EO3 road via Thebes. 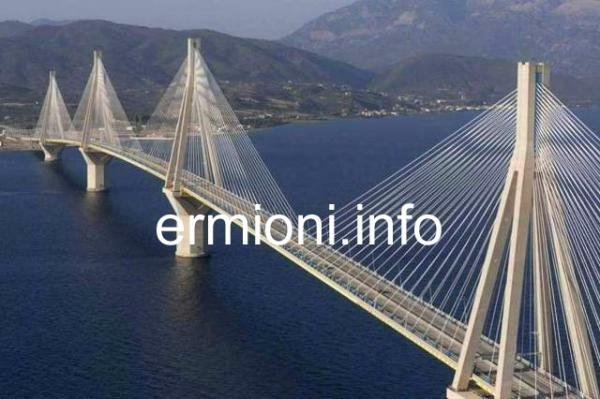 The other journey would take you along the E65 Northern coastline of the Peloponnese, enableing you to cross to mainland Greece across the Rio-Antirrio Bridge. 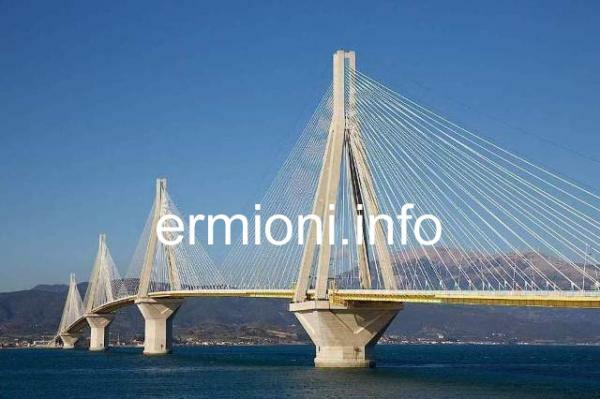 Its five-span four pylon cable-stayed length of 2,252m (7,388ft) is the world's third longest cable-stayed deck bridge. 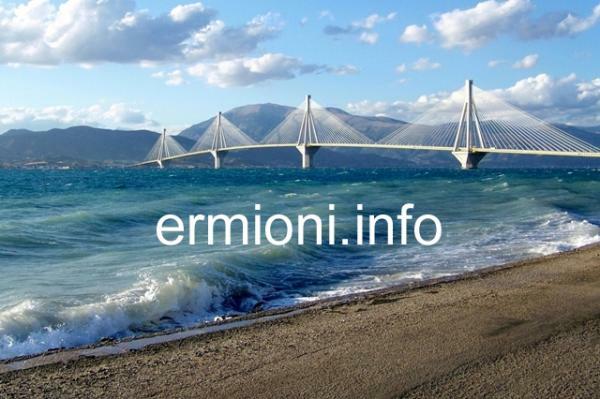 The total 2.8km bridge separates the Gulf of Patras with the Corinthian Gulf and was officially opened in August 2004, a week before the Summer Olympic Games in Athens. Bridge toll for passenger cars: 13.50 Euros. Rio and Antirrio Fortresses - Twin fortresses located at each end of the Rio-Antirrio bridge. These are late Byzantine-Venetian-Ottoman fortresses constructed at the very end of the 15th Century. 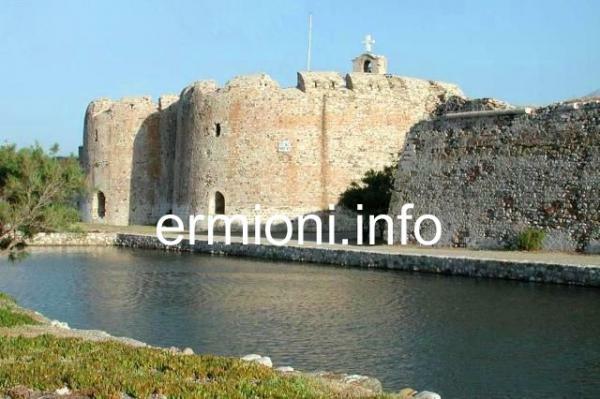 The Northern Antirrio fortress (Castelo di Roumeli) and the Southern Rio fortress (Castelo di Morea) were nicknamed 'Little Dardanelles' and were intended to protect the entrance to the Corinthian Gulf. They were gifted to the new Hellenic nation in 1829, during the Greek War of Independence. 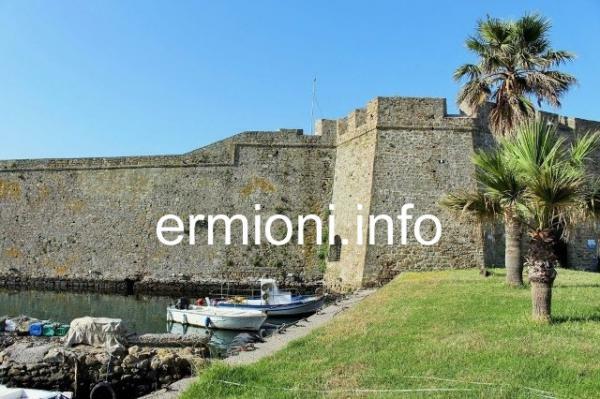 Today, the Medieval fortresses have been restored and are used for cultural events during the Summer months, in addition to being a tourist attraction. Open 09:00 - 17:00 daily, apart from national holidays. Closed on Mondays. 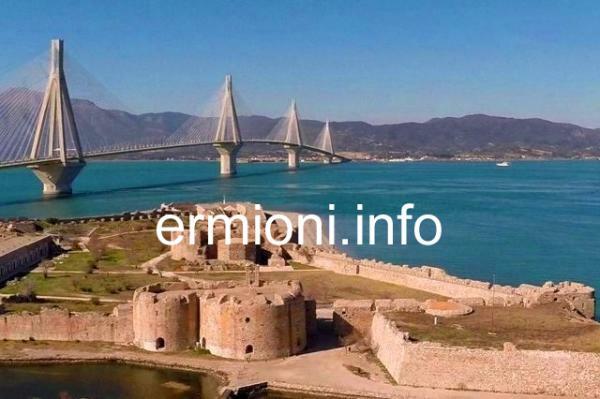 The Rio-Antirrio bridge and fortresses are located approximately 10kms NE of Patras. Patras is Greece's third largest city and is refered to as Greece's 'Gateway to the West'. 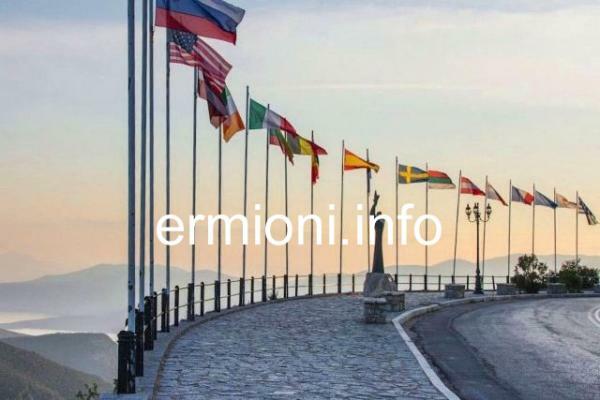 Its main port being the centre of trade and communication with Italy and Europe. Every year during Spring, Patras hosts one of Europe's largest Carnivals, particulary enjoyed by the city's large student population.